We are now through two full rounds (and four play-in games) of March Madness. 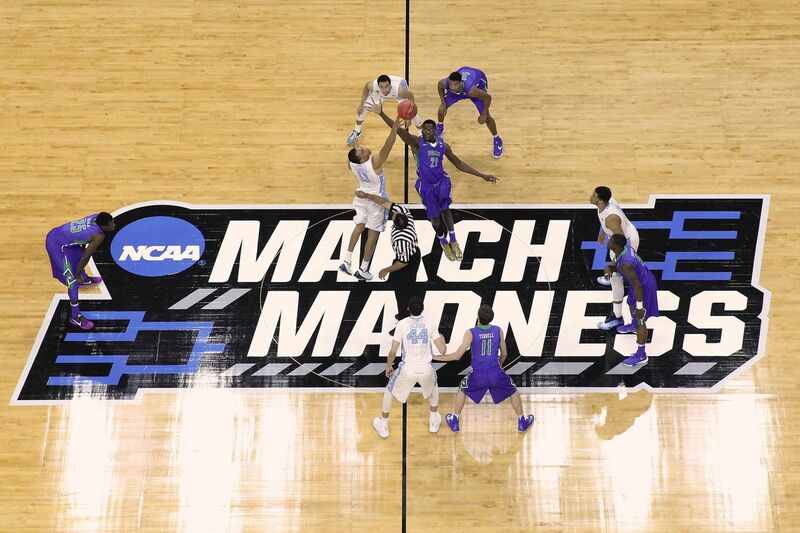 The field has been trimmed from 68 teams all the way down to the Sweet 16! Although there are less Cinderella’s than in years past, as #12 seed Oregon is the only double-digit to advance, it gives the true blue bloods of college basketball a chance to battle it out. 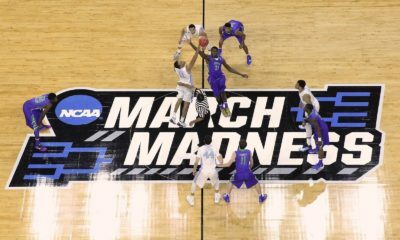 Let’s take a look at the Sweet 16 matchups and discuss how I see them shaking out, both straight up (SU) and against the spread (ATS). Florida St. vs Gonzaga (-7.5) — Gonzaga rolls in ready for revenge after last year’s upset by Florida St. The Bulldogs have definitely improved on last year’s squad, yet here we are again with Gonzaga on upset alert by Florida St. I think Florida St. has the athleticism to match up very well with Gonzaga, as well as the bench to keep many of their key players fresh for the key moments of this game. I think grabbing the points in this one is a no brainer. Florida St. has shown they can hang with the top teams in the country just last week in their defeat of Virginia. The moneyline is where some good value could be had in this one. Currently sitting at +345 ML, Florida St. offers some great value for a small bet on the ML, as well as one with the points. Purdue vs Tennessee (-1.5) — This is the first game of four that matches up the number two seed against the number 3 seed in their respective regions. Both of these teams scare me. On one hand, I wouldn’t be surprised if either one of these teams were to win the National Championship. However, I also wouldn’t have been surprised if either of these teams lost in the first two rounds. Purdue goes as Carson Edwards goes, and boy did he go against Villanova. Edwards went for a not-so-modest 9-of-16 from the three-point line and a total of 42 points. That was the follow up to the 26 points against Old Dominion in the first round. The question remains if he will stay this hot, as he was ice cold coming into the tourney. Tennessee comes in off a overtime win against Iowa in which they blew a 25-point lead. This is one of the games I’m most excited to watch this week, as these teams seem to match up very well. My gut tells me that Edwards keeps it going, but I’m still going with Tennessee to take this one and move on to the Elite 8. They have the more complete team, and when you have multiple guys that can take over the game like they have, I like their chances. The trio of Williams, Bone, and Schofield is tough to stop over a full game and believe they get it done. Texas Tech vs Michigan (-1.5) — Two of the best defensive squads square off for a chance to head to the Elite 8. Texas Tech absolutely steamrolled a hot Buffalo squad in the second round, while Michigan beat up on a quality SEC team in Florida to get here. Texas Tech has also won 11 of the last 12, with their only loss coming to West Virginia in the Big 12 Tournament. Michigan has won 8 of the last 11, with all three loses coming at the hand of Michigan St. Though Texas Tech has been rolling, I have to go with Michigan to get the win here. I’m not totally sold on the Big 12 this year, and though Texas Tech has won 11-of-12, the loss to the worst team in the conference in West Virginia holds a lot of value to me. Michigan has been playing some very good ball of late and they get it done here. Oregon vs Virginia (-8.5) — Oregon comes into this game having won ten games in a row and also covering ATS in all ten games. Virginia comes in having won 11 of its last 12 games, with its only loss coming against Florida St. in the ACC tournament. Now that Virginia’s last year blunder against UMBC in first round is starting to fade, can they continue to move forward and reach the Final 4? We all know the defense is going to show up for this Virginia squad as they’ve given up only an average of 53.5 points per game in this tournament. The question that always seems to come up is will they have enough offensive firepower to consistently beat good teams. For the surprise team in Oregon, it has been about defense and timely offense as well. They gave up only 54 points in both matchups so far. However, those two teams in Wisconsin and UC Irvine aren’t exactly known as offensive powerhouses by any means. This was one of the toughest games for me to get a read on as I could make a case for both sides. In the end, I think Virginia wins but the big question is by how much. I think a few late fouls and Virginia barely covers by 9 or 10. LSU vs Michigan St. (-6) — This game pits two of the most exciting guards to watch, in LSU’s Tremont Waters and Michigan State’s Cassius Winston. Both teams have seen their share of troubles so far in the tournament. 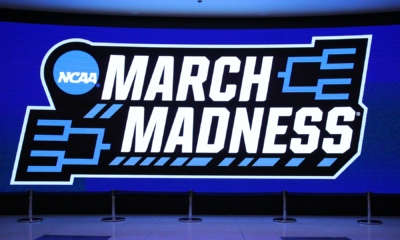 Michigan St. trailed #15 seed Bradley in the second half of the first round, while LSU struggled to get by a pesky Yale squad in the first round before a nail biting two point win over Maryland in the second round. For me, this game is going to come down to coaching. Tom Izzo is one of the best coaches in college basketball for Michigan St., while interim head coach Tony Benford is serving only his fourth game as the head coach for LSU. I don’t see anyway that Michigan St. loses this game. However, I think it could come down to the wire, so if I’m betting this one ATS, I would like the points in my back pocket. Auburn vs North Carolina (-5) — Both of these teams had rocky first round games only to follow it up with dominating performances in the second round. For Auburn, they were able to find the three-ball again, going 13-of-30 for a 43% clip against Kansas. For North Carolina, they just dominated pretty much the whole game to the tune of a 22-point win over Washington in the second round. So, which team is going to move on to the Elite 8? I’m going to go with North Carolina, as they’ve seemed to figure it out in just about every faucet of the game. North Carolina has the most complete team in the field. If one thing isn’t working, they always seem to be able to counter with something else. Auburn relies too much on the three-ball, and if they aren’t falling early, they seem to get into a funk offensively. Against a team that will go up and down the floor in the blink of an eye and score on you, it could become very frustrating for this Auburn team. Virginia Tech vs Duke (-7) — After almost losing to UCF last weekend, I believe Duke is coming in a little undervalued here. The thing to remember is UCF has a roster almost perfectly set up to knock off Duke. This mostly revolves around them having big man Tacko Fall patrolling the middle. This forced Duke into doing one of their biggest weaknesses — outside shooting. This time around, they draw a familiar ACC foe in Virginia Tech. Though VT plays very good defense, they don’t have anyone close to Fall’s presence in the middle. In the only meeting this year between these two teams, VT came away with a home victory over Duke, 77-72. However, Duke freshman star Zion Williamson did not play in that game. This time around, Duke will have a full complement of players and will be played on a neutral court. Though VT won the first time around, they do have stretches where they can have trouble scoring. When that happens against an offensive powerhouse such as Duke, things can go south very quickly. In the end, I think Duke goes on a long run in the second half and wins this game by 10-15 points. Houston vs Kentucky (-3) — This game comes down to the health of Kentucky star PJ Washington. If he’s able to play and is at full strength, I believe getting Kentucky at only -3 would be a steal. This line feels like it has been set as if he’s not playing. If you believe he will play, it may be worth putting in a bet now, because if he does end up being cleared to play, this line may move up a point or two. I’m going to assume at this point he plays, so I’m going Kentucky. However, if he doesn’t play, I say Houston wins SU and ATS. BONUS BET– I’m also going to give one over/under bet that I really like. The total for the North Carolina and Auburn game is currently at 164.5 and was as high as 165 after opening at 160. I think this total is way too high for this game. Yes, these are two really high-scoring offenses, but that total is assuming both teams get into the 80’s. These two teams may have great offenses, but they also play solid defense. Auburn gives up only 68.5 points per game on average and has only allowed a team to score over 80 points once in the last ten games. While North Carolina gives up only 72.5 on average and has only let one team score more than 80 points in its last 12 games. Take the UNDER 164.5! 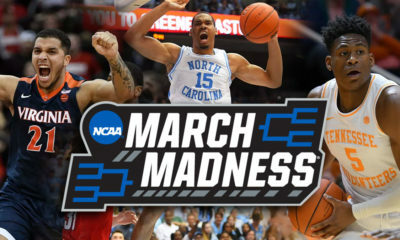 Well, that is this years Sweet 16 matchups and predictions. Enjoy this week’s great matchups, and as always, happy money making!